When Rebecca Lenkiewicz’s Her Naked Skin premiered in 2008, it was the first play by a living female playwright to be staged on the main stage at the National Theatre. Less was made of its subject: the struggle for female suffrage when the only way for women to make their voices heard was through militant action. It’s taken 10 years to receive its regional premiere and the timing of artistic director Gareth Machin’s production at Salisbury Playhouse – in the centenary year since women first won the vote in Britain – is perfect. What starts off as a historically accurate portrayal of the lengths the movement went to – smashing windows, bombings, acid poured on golf greens, mass rallies, prison hunger strikes and the infamous force feeding of inmates – rapidly sidetracks into an upstairs/downstairs love affair between posh Lady Celia Cain, trapped in a frustrating marriage, and factory girl Eve Douglas. Designer Dawn Allsopp’s towering Holloway prison walls topped by shattered glass windows are incredibly oppressive, a quality augmented by lighting designer Johanna Town’s atmospheric shafts piercing the gloom. Though the transitions between scenes are laboured and flatten the pace, the production is beautifully acted by its professional cast, whose numbers are bolstered on stage by a commendably committed community chorus. 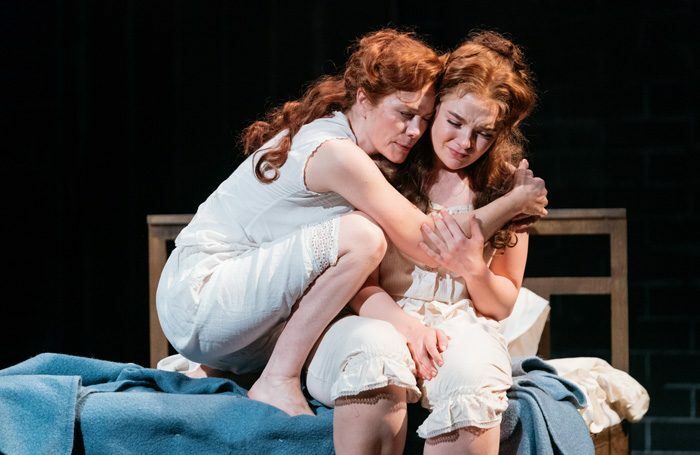 Abigail Cruttenden’s brittle and prickly Celia is particularly strong and Lorna Fitzgerald captures Eve’s naivety and emotional transparency. 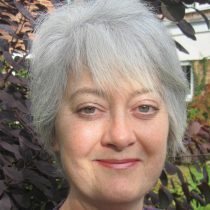 Robert Hands lends solid support as Celia’s well-intentioned husband and Jane How, as the indomitable Florence Boorman, is particularly impressive.